My wonderful Nepali counterpart Roni, who I lived and worked with during my Restless Development placement in the village of Dharamghar, is the woman seated in the upper left hand corner of this photo. Originally from Kathmandu, Roni is passionate about community work and determined to pursue a career in the development sector having already studied a Masters in Social Work. This is her first attempt at sewing- much to the amusement of the other women in the photo who were all members of the local Mother’s Group. Whilst on placement, Roni and I were warmly welcomed into the group and met with the members every fortnight in the rare few hours they were able to put aside from their strenuous household chores. At these meetings, age and caste boundaries were put aside with the women working together, sharing in their knowledge and planning future action for their community. These meetings were fundamental not only for the development of the village but, with the help of Restless Development, enabled us to organise vital health worker visits and skill-swapping sessions. When my turn came to contribute a skill, I chose a craft that my mother passed on to me. After gathering scrap material from local tailors – something that the women could do themselves in the future – and with Roni’s help translating, I taught the ladies how to quilt. They couldn’t believe I could stitch almost as well as them, even without a machine! Meet Manisha. Despite being born into the Dalit or ‘untouchable’ community, she was one of our wonderful pupils whose eagerness to learn and enthusiam to get involved at every opportunity inspired me everyday of my placement. 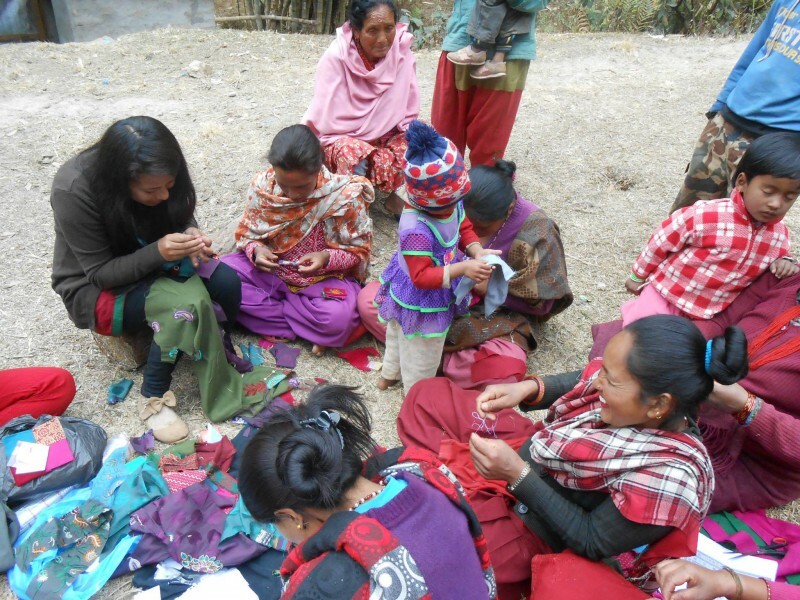 As well as falling victim to gender misconceptions still rife in Nepal, Manisha’s ancestry means that she is likely to face life-long economic oppression and exclusion. However, times are changing and she is not going to let anything stop her from pursuing her passion for dancing. Devoting time to practise routines in between school and her daily chores, Manisha has even won several district-level dance competitions!